Welcome to the 2nd Edition of the Owen Guns Bulletin. Only until stocks last, the Aussie dollar was down to .81 even during yesterdays US. melt down, these came in when it was .97. So order now for the best scope for the least money as we won’t see them at this price again. Only 40 left. 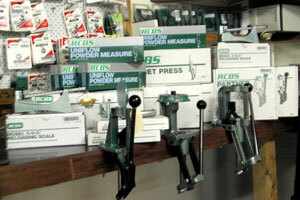 RCBS DIE Sets Reloader Special. The Strongest and Best 7/8x 14 Die Sets on the Market.222 rem, 6.5×55 swede, 7mm rem mag,30-30 win, 308 win, 30-06 win , 300 win mag. American Made .22 LR Rimfire Rifle. Adjustable notched rear sight, bead post front sight, 3/8 dovetail for Scope Mounts. Standard trigger, blued bolt action, swivel studs, button-rifled barrel with detachable magazine. OUTLAW GUNS and only OUTLAWS will have GUNS! Joyce Lee Malcolm, a professor of history at Bentley College and a senior adviser to the MIT Security Studies Program, has recently published an important new book, Guns and Violence: The English Experience. (The book received a very positive review from David Gordon in the Fall 2002 issue of The Mises Review.) For those who want to read a succinct summary of Malcolm’s work, Reason Magazine has done us the service of publishing her in article format. In reality, the English approach has not reduced violent crime. Instead it has left law-abiding citizens at the mercy of criminals who are confident that their victims have neither the means nor the legal right to resist them. Imitating this model would be a public safety disaster for the United States. The illusion that the English government had protected its citizens by disarming them seemed credible because few realized the country had an astonishingly low level of armed crime even before guns were restricted. A government study for the years 1890-92, for example, found only three handgun homicides, an average of one a year, in a population of 30 million. In 1904 there were only four armed robberies in London, then the largest city in the world. A hundred years and many gun laws later, the BBC reported that England’s firearms restrictions “seem to have had little impact in the criminal underworld.” Guns are virtually outlawed, and, as the old slogan predicted, only outlaws have guns. 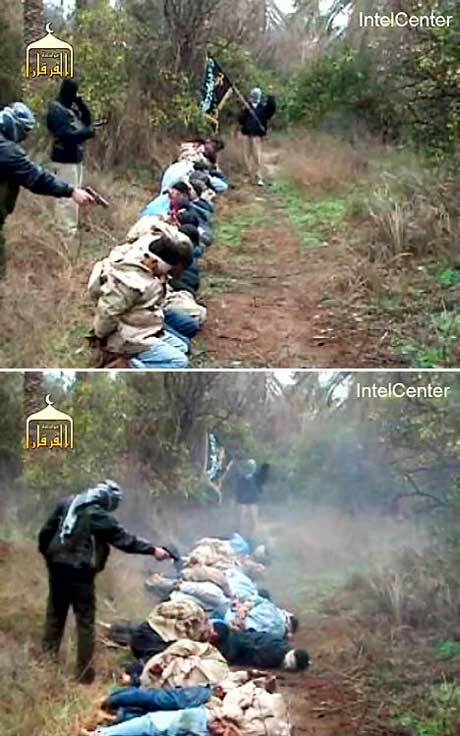 Worse, they are increasingly ready to use them. Nearly five centuries of growing civility ended in 1954. Violent crime has been climbing ever since. Last December, London’s Evening Standard reported that armed crime, with banned handguns the weapon of choice, was “rocketing.” In the two years following the 1997 handgun ban, the use of handguns in crime rose by 40 percent, and the upward trend has continued. From April to November 2001, the number of people robbed at gunpoint in London rose 53 percent. Gun crime is just part of an increasingly lawless environment. From 1991 to 1995, crimes against the person in England’s inner cities increased 91 percent. And in the four years from 1997 to 2001, the rate of violent crime more than doubled. Your chances of being mugged in London are now six times greater than in New York. England’s rates of assault, robbery, and burglary are far higher than America’s, and 53 percent of English burglaries occur while occupants are at home, compared with 13 percent in the U.S., where burglars admit to fearing armed homeowners more than the police. What I wish to contemplate here is the rationale Malcolm ascribes to English gun control advocates: “People don’t need to protect themselves because society will protect them.” When someone forwards such a proposition, it is often useful to analyse his use of words. For instance, what, exactly, is meant by “society” in the above statement? Not in Britain Yet. Disarmed, Defenceless Waiting for Society to help, but its always to late. Do the proponents of “societal protection” instead mean that individuals can’t protect themselves, but acting as members of a church group or corporation or social club they could act to protect each other? Again, the laws they recommend rule out this interpretation. There are no exceptions to the various laws forbidding self-defence and the carrying of “offensive” weapons for members of social groups. A minister is no more permitted to carry a weapon than is his flock, and one cannot obtain an exemption from the laws because one has an exceptional number of business associates. It is clear that “society” is, at least in the case of British law, a euphemism, covering up the naked truth of what the doctrine of “societal protection” really means: All individuals must be completely reliant on the State for their safety. If you are attacked and the minions of the State are not on hand to protect, you must suffer whatever your attackers wish to do to you, or you will be punished. In 1987 two men assaulted Eric Butler, a 56-year-old British Petroleum executive, in a London subway car, trying to strangle him and smashing his head against the door. No one came to his aid. He later testified, “My air supply was being cut off, my eyes became blurred, and I feared for my life.” In desperation he unsheathed an ornamental sword blade in his walking stick and slashed at one of his attackers, stabbing the man [sic] in the stomach. 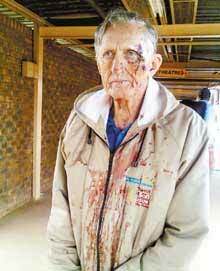 The assailants were charged with wounding. Butler was tried and convicted of carrying an offensive weapon. 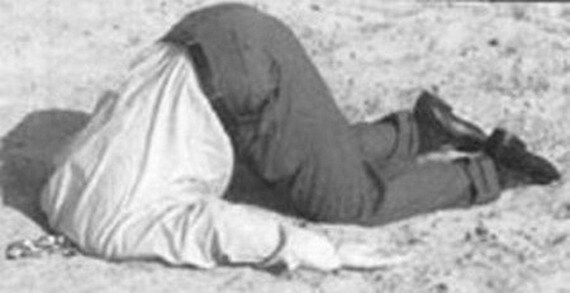 British & Australian Politician's say 'Gun Laws work' they would also believe that they could talk with one another through a deep hole in the ground. 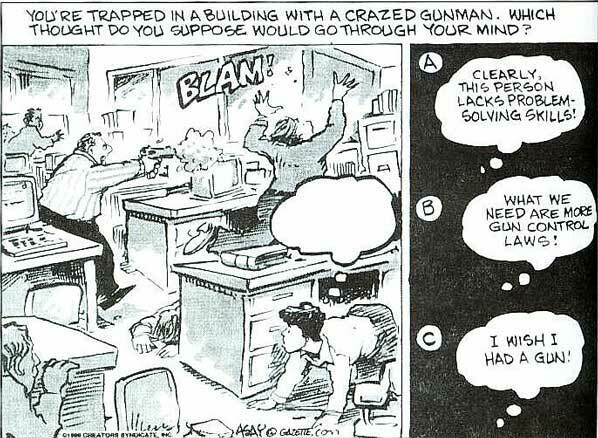 I think the gun control issue brings us to a crucial aspect of social theory. Although rendering citizens helpless and reliant on the State might, in fact, be the intended result of the evolution of British law in the twentieth century, we need not regard it as such to acknowledge that it is the effective result. As Hayek famously put it, many social outcomes are “the result of human action but not of human design. Caliber .303 (7.7x57R), .30-06 (7.62×63) and many others including Japanese (Type 92) calibres. The Lewis light machine gun was designed in USA by Col. Isaac N. Lewis, based on earlier machine gun by Dr. Samuel McLean, but found no takers because of personal opposition from US Army’s Chief of ordnance. Trying to sell the gun overseas, US-based Automatic Arms Co, which held patents for Lewis guns, established a subsidiary company in Belgium, know as Armes Automatiques Lewis SA. However, it was a pure marketing agent, and production contracts for first “European” Lewis LMG were placed in 1913 with British Birmingham Small Arms (BSA) company. First batch of 50 BSA-made Lewis guns was completed by mid-1913, in as much as seven different calibre’s, with obvious goal of marketing these guns across Europe. When war broke, BSA received orders for Lewis guns, and by the end of the war delivered well over 15 thousands of Lewis guns. In USA, Lewis machine guns were built in .30-06 calibre, mostly for US Army Air Corps and for US Marine corps. 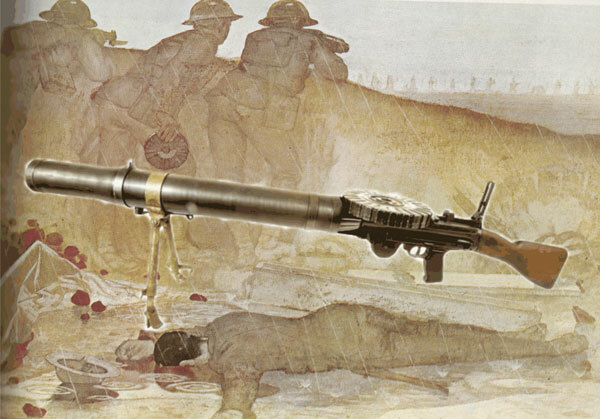 The Lewis gun also saw extensive use as an aircraft machine gun during WW1 and in following decade. Lewis light machine gun became most famous in British use and manufacture; it was widely used by British troops during WW1 and afterwards. During WW1 it was also supplied to Imperial Russia. During WW2, many infantry Lewis guns were recalled from reserve stores and issued to British Home Guard units. Furthermore, in the view of possible German invasion in 1940-41, many former aircraft Lewis guns, of both British and US origin, were converted for ground use and also issued to Home Guard. It must be noted that ex-aircraft Lewis guns, supplied from USA through Lend-lease program, were chambered for .30-06 US Service ammunition; when converted to ground use in UK, these guns retained its chambering and were marked with red stripes to distinguish its non-standard chambering. Lewis machine guns were also manufactured under license in Japan (as Type 92, for Naval infantry and aerial use) and in the Netherlands. Lewis light machine gun is a gas operated, air cooled, full automatic only weapon that fires from open bolt. It has a non-removable barrel with aluminum radiator, enclosed into tubular barrel jacket of relatively large diameter; jacket was opened from both front and rear. When gun was fired, the muzzle blast caused the air to flow inside the jacket from rear to front, providing forced air cooling for a relatively light barrel. In aircraft versions the jacket and radiator usually were discarded to save weight. The basic action used a rotary bolt with four radial lugs, located at the rear of the bolt; lugs locked into the recesses in receiver walls. 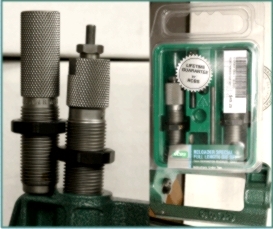 Bolt was operated by a vertical stud, which entered a helical cut made in the bolt body. This stud was installed on the gas piston rod, which runs below the barrel. Gas block was located near the muzzle, and was concealed within the barrel jacket. One unusual design feature of the Lewis gun was the return spring. It was a spiral, clock-type spring which operated a gear wheel, located in the semi-circular hump below the receiver. The gear wheel co-operated with a teethed rack, machined on the underside of the gas piston rod, so the return spring was wound upon recoil cycle (under the power of powder gases), and then unwound itself on closing movement of the bolt group. The firing pin was fixed to the vertical stud on the gas piston rod. The feed system of the Lewis gun was also somewhat unusual, as its flat pan magazine, which held rounds in two layers, had no spring to feed cartridges into the gun. Instead, the magazine was powered by the gun itself, via special feed operating arm with two pawls, which engaged stamped ribs, made on the outside of the magazine cover. The feed arm oscillated in horizontal plane, being operated by the vertical stud located at the rear of the bolt. With each cycle of the bolt group, magazine was rotated by one step to feed next cartridge into the ready position. For aerial combat, four-layered magazines with bigger capacity were produced. Standard furniture for Lewis light machine gun included a wooden pistol grip and a wooden buttstock, and a folding, detachable bipod. Optional carrying handle could be installed near the centre of gravity of the gun, that is, at the rear of the barrel jacket. Guns, converted from aerial to ground use often lacked the barrel jacket and radiator; a light bipod was attached to the mounting, originally used to install the gun in aircraft turrets. Additionally, a skeleton buttstock was pinned to the rear spade grip and a simple rear sight set to 400 yards.